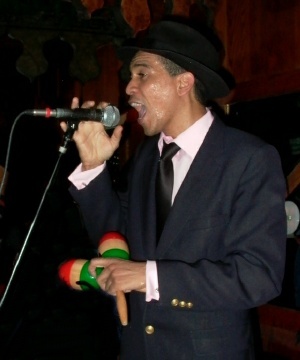 Bernardo Pouns, "Chino", is a Cuban born dancer, singer, and bandleader. He sees dancing as the Art of combining movement in space with rhythm and tempo. As a dancer he has a traditional Cuban foundation having learned to dance from his mother. Chino teaches his dance students to appreciate the variations and the feeling of the music; always listening and moving with grace to the beat. His teaching method is based on helping the student cultivate the ability to hear the music and on using the clave to maintain the students awareness of his place in the music While dancing Chino truly is a silent musical instrument playing with the band. Chino and his group of salsa musicians, Grupo Irek, play regularly at select New York venues in Manhattan and Brooklyn and around the New York area. Chino is no longer available for dance instruction since his band has gone ballistic. His Cuban Salsa Grupo Irek is available for music Performances. He can be reached at: (646) 251-4040.